Theme – In these stories, women rule and worlds governed by men are a thing of the past. Whether righteous or downright sadistic, these authoritative female figures shape their worlds for better or worse despite the trials thrown their way. Note: No limitation on genre, setting, etc. Payment: Royalties with a guaranteed minimum payment of $100. Payment will be based on a profit-share model with a guaranteed minimum payment of $100. Authors will receive royalties during the first six months of membership. At the end of the royalty period, if the author’s royalties do not meet the minimum payment of $100 then the remaining amount will be paid. There is no cap to the amount of royalties that may be earned. Earning reports for the anthology will be provided to all participating authors to ensure complete transparency. Specific terms will be available after initial acceptance of the author’s story. Authors must read and be in agreement with the above before submitting. Submissions must be original, never before published works. No multiple submissions (i.e., more than one story at a time from the same author). You may submit new material after you have heard back about the previous submission. No simultaneous submissions (i.e., submitting to Future Visions and one or more other markets at the same time). Submissions may be set in a larger universe, but should be a complete story; do not send excerpts, parts, or volumes. Word Count is 2k-10k words (exceptions for up to one story per anthology can be made). Submissions should be written to the best of the author’s ability. Professional editing is not required but may help in the consideration of your piece. 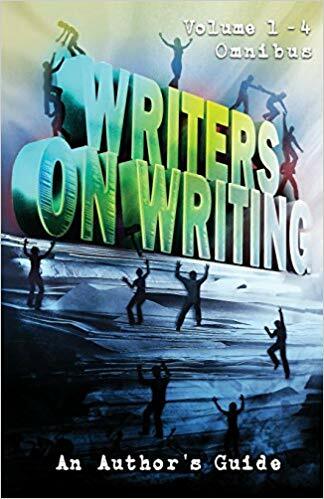 Camton House Publishing will provide professional editing and proofreading, approved by the author, and a final, edited version will be submitted to the author upon publication. Adult language and sexual situations are permitted, but no hate speech, erotica or “X-rated” material. Formatting: 12pt Times New Roman font with 1.5-line spacing; 1-inch margins on all sides; no extra spaces between paragraphs; leading indentations, but no tabs. Brief Bio, written in the third person. 100-300 words. Submissions should be submitted in docx format as an attachment. Theme – Nearly everyone has had a lost love. In other words, the one that got away either due to another person, drifting apart, death, etc. Whether it be the boy next door, a loyal princess, or a supernatural being, all of these stories have two things in common: loss and heartbreak. Rating – Check each anthologies‘ rating. Word count – Check each anthologies‘ word count requirements. The call for submissions for The Third Corona Book of Horror Stories is now open. Help us make this our best anthology yet. We’re not asking for exclusivity or any rights to your story other than to publish it in The Third Corona Book of Horror Stories. We will pay advance royalties of £50 ($67) to the author of each story we publish in the book. We’re keeping our guidelines as simple and straightforward as possible with no outdated or unnecessary rules about formatting etc. This autumn we will publish The Third Corona Book of Horror Stories, to be a collection of the best in new horror writing comprising between fifteen and twenty short stories. If you think you have written, or can write, a great horror story that you would like to see included in The Third Corona Book of Horror Stories, we would love to hear from you. We want this collection to include only brilliant modern horror stories and to surpass in terms of quality the high standards we set ourselves again with last year’s The Second Corona Book of Horror Stories. 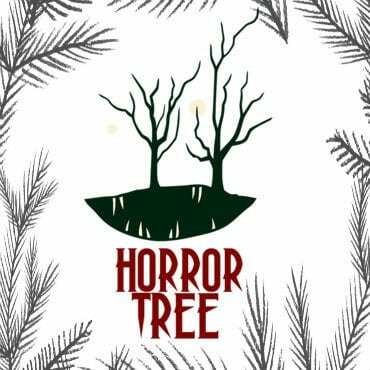 We are looking for the best in new horror stories. Submissions in English are welcome from any country. Stories should be between a minimum of 1,000 words and a maximum of 8,000 words – there will be room for both short short stories and long short stories. There will be room too in the book for various different takes on what constitutes horror – we want the stories in the book to be varied. Your story can be supernatural or natural horror. It can be graphic or gory, or merely sinister or spooky. We’d also like you to include a few words about yourself with your submission, giving us a very brief bio, covering other writing you’ve done and letting us know about your social media presence and willingness to help promote The Third Corona Book of Horror Stories if your story is included. And also, we’d recommend that you do check out The Second Corona Book of Horror Stories as that will give you a good idea of what we’re all about. You can begin to read it for free here and for the duration of the call we’ll keep the Kindle edition available at the low price of £1.99 ($2.99). C’mon! We are not asking for exclusivity or any other rights to your story other than to publish it in The Third Corona Book of Horror Stories. You will retain the copyright to your story and be free to publish it in any form at any time elsewhere. In return, we perhaps can’t offer immediate fame and fortune, but we can offer a degree of kudos if we accept your story, author copies and a proportionate share of the net royalties on any sales over the first one thousand copies. And if we select your story for inclusion, we will make an immediate advance royalty payment to you of £50 (or $67 or equivalent amount in other currencies), which will obviously be yours to keep whatever happens. If you wish, you can submit more than one story, but obviously please keep this within reason, and do be aware that, like The Corona Book of Horror Stories and The Second Corona Book of Horror Stories, The Third Corona Book of Horror Stories will include no more than one story by any one author. The Third Corona Book of Horror Stories, again like the earlier books in the series, will include potted biographies of all its writers and a list of author websites and Twitter accounts to aid readers wanting to find out more about you and your writing. Think you have a brilliant horror short story? – We’d love to hear from you. Please submit stories to [email protected] with Word or pdf attachments only, and to arrive by Tuesday 30th April 2019. Theme – Darkness. Despair. Death. The repertoire of vampires and dragons precede them. Terror and turmoil follow in their wake, whether they purposely wreak havoc or not. Payment: $50 plus a percentage of the Kickstarter project profits and a paperback copy of the anthology. Description: In “The Five Orange Pips” Dr. Watson writes that he is faced with so many interesting cases between 1882 and 1890 that it is no easy matter to choose which ones to set down on paper. Despite this claim of many cases, Chronologists agree that the only story which occurs between A Study in Scarlet (March 1881) and “The Speckled Band” (April 1883) is “The Resident Patient”. What happened during this early time in the career of Holmes and Watson? What are some of these early cases? This book aims to answer that question with a series of adventures occurring between 1881 and 1883. Submission guidelines: A traditional Holmes and Watson story occurring in the above mentioned time frame at a length of 5,000 – 10,000 words (okay to go over or under some). Payment: Authors shall receive a payment of $50 plus a percentage of the Kickstarter project profits and a paperback copy of the anthology. Rights: Authors shall retain rights to their work. We only retain the rights to the story within the publication. Kickstarter will run in August 2019 and publication of book will occur in October 2019.